While one has the liberty to explore options while travelling alone, private chauffeured services or coach hire services let you travel the way you want to. Manchester airport to Liverpool coach hire or vice versa can work out well when travelling in big corporate groups, school/university trips and with families. Trains and taxis tend to be cumbersome with luggage, big groups and tight schedules. One cannot rule out the fact that booking taxis through brokers and online agents carry issues like fear of unauthorised, unknown driver without a trip-ready licensed vehicle. Last moment cancellation, surged up prices and unprofessional customer support cannot be ruled out. Here’s a handy list to guide you to BOOK the most suitable Manchester airport transfers. As you read, we are sure you will be able to choose the most suitable private hire in Manchester for you keeping in mind your budget, comfort and ease of travelling. Along with transport, get useful information about nearby places, hotels and other details which will help make your stay and travel prompt and in accordance to your needs. Are the Manchester to Liverpool train prices very high? The basic fare for a single standard ticket without any add-ons and taxes is from £14 while travelling from Manchester airport to Liverpool by train. How much time does travelling from Manchester airport to Liverpool by train take? Direct trains, 7 days a week, run between Manchester airport and Liverpool with a travel time of 60-65 minutes. Is there a station at Manchester airport? 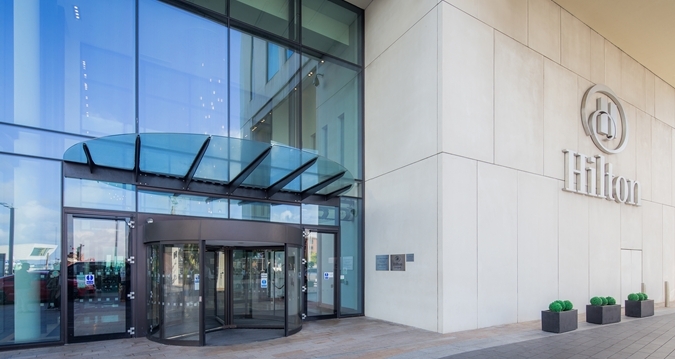 The Manchester airport station is located near the airport and is 10-15 minutes’ walk away which has an indoor skylink walkway eliminating the need of any coach or shuttle. What is the approximate distance between Liverpool and Manchester airport? Is Manchester airport to Liverpool coach travelling recommended? Manchester airport is well connected with various destinations by a number of bus services running through most hours of the day and with services available on weekends and holidays too. How easily can one get public transport from Manchester airport to Liverpool? Manchester is well connected to Liverpool by every public transport/ground transport facility. Trains, buses and coaches have high frequency of operations and operate from early morning till late hours of the night. Are taxis from Manchester airport to Liverpool easily available? Booking a taxi is easy as you can get a taxi for Liverpool from each terminal. How much will Manchester airport to Liverpool taxi fare cost me? Each terminal is well equipped with taxi services and the approximate fare or cost of travelling from Manchester airport to Liverpool would be £40–£45 with travel time of about 45 minutes. How easily can I book an Uber from Manchester airport to Liverpool? How much time does a black cab take from Manchester airport to Liverpool? Can one easily get coach hire services between Manchester to Liverpool airport? Which are the best car services available from Manchester airport to Liverpool? What are the options available for private transfer from Manchester airport to Liverpool? Manchester has a very robust network of Private transfer or ground transport. Of course one can take the taxi available from the airport terminal or book an Uber, but all of these options will be subject to availability at the time of your arrival. How do I book a private car from Manchester airport to Liverpool? Which is the cheapest way to go from Manchester airport to Liverpool? Ground transport services range from cabs and minibusses to coaches and buses, explicitly offering a wider basket of options for traveling. When one compares the cost of an adult passenger traveling from Manchester airport to Liverpool, ground transport scores high. Consider aspects of luggage, large traveling group, the convenience of place and time for pick/drop and mid-way sightseeing and pocket-friendly pricing, no other option can give you the liberty of enjoying your travel like a dedicated ground transport service will. The biggest drawback of private ground transport is Uncertainty. How can I hire a cab and chauffeur services for Manchester airport to Liverpool? The biggest advantage to hiring a cab and chauffeur services is that you not only get point to point services but get a private chauffeured vehicle at your service. While you have options available from various ground transport service providers and Manchester airport chauffeur services too, hiring your cab through TripCenter gives you few added advantages like live price updates, the vehicle of your choice and licensed professional chauffeurs. How can I hire executive coach for Manchester airport to Liverpool for a very large group? 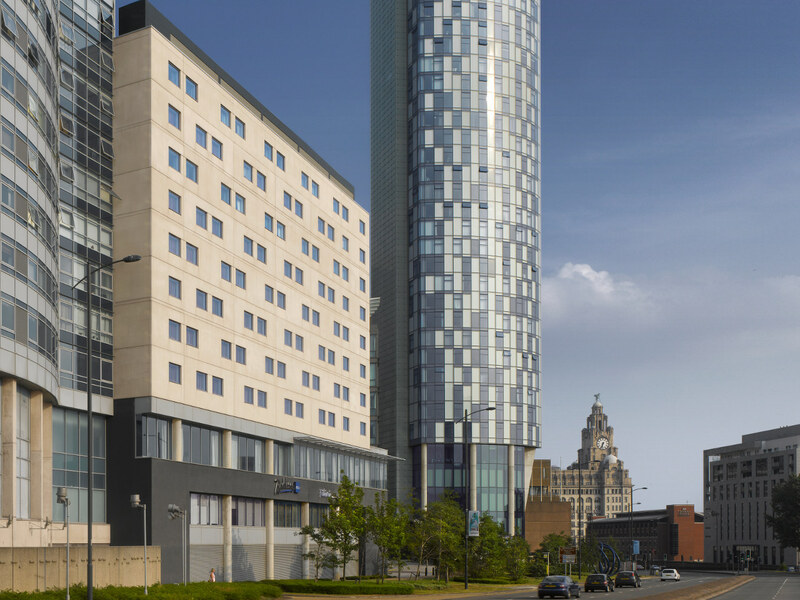 Which are the most convenient hotels while travelling from Manchester airport to Liverpool? 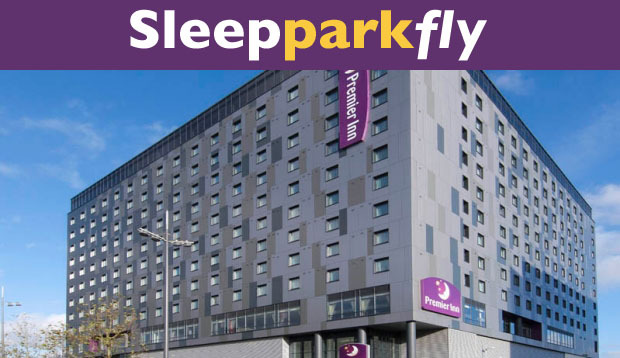 When looking for decent hotels while travelling from Manchester airport to Liverpool or near the airport, it is advisable to look for options in nearby locations of Stockport, St. Helens, Haydock and Knowsley in Manchester and Liverpool. Stockport near Manchester has names like Wycliffe Hotel, Holiday Inn Express Stockport, Premier Inn Stockport South Hotel, Travelodge Stockport hotel which are quite famous for their hospitality. Haydock and Knowsley areas near Liverpool also have many good hotels like Hotel ibis Styles Haydock, Travelodge Haydock St. Helens, Mercure Haydock Hotel, Suites Hotel Knowsley, Griffin Inn and the Eccleston Arms. Which are the top 6 hotels near Manchester Airport MAN? Manchester is home to some of the finest names and brands in the hospitality industry. While some are located exactly near the terminal exit, few others are located a little away, but not so far so as not to allow you to catch a breath of luxury and indulgence. On which route can I find Premier Inn when travelling from Manchester airport to Liverpool? Think Manchester and the words Football and MUFC spill out immediately. Think Manchester and the first thing to come to mind is Glory Glory Man Utd. That’s not because the city has got a long association with a Football club; but that’s because the city breathes Football and only Football. With one of the world’s largest Football Club – Manchester United Football Club and Manchester City Football Club borrowing their names and getting associated with the place, surely one cannot miss the Sports fervour of the place. So while planning your 5 top places to visit in Manchester, sports will dominate your itinerary. Old Trafford –With a roaring crowd of 75,000 spectators, the Old Trafford Stadium is the 3rd largest stadium in the United Kingdom and is home to the Manchester United Football Club. While you would not want to miss out on any corner of the Stadium, Unique Tours – conducted by the FC authorities will make you go crazy. Taking you through the eyes of Legends, this day tour is a special package rolled out for families wanting to live and experience the Old Trafford thoroughly. Inclusive of the museum and dining experience at the Red Cafe, this tour is priced at £25 for Adults and £18 for Kids. Pull out your MUFC Jerseys and shout your way along the tour! National Football Museum –Fulfil your appetite for more Football as you visit the National Football Museum. 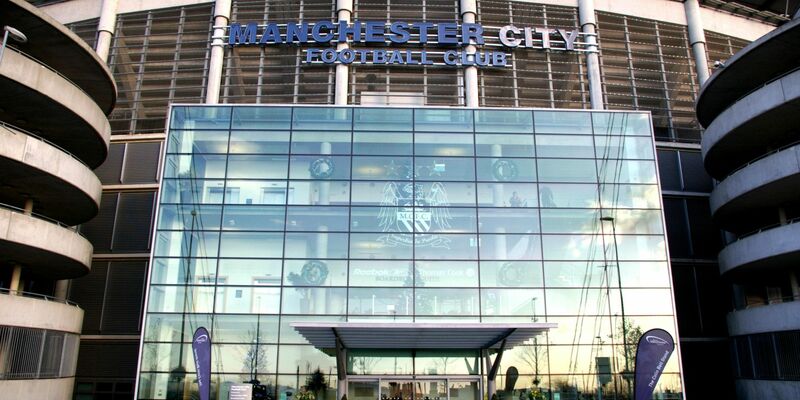 Located in the heart of the city – Manchester City Center at Urbis Building, this museum has will make your eye pop-out wide and jaw drop, for each and every item belonging to the football memories has been preserved here. What more can you delight you other than a simulator to test your passing the ball or scoring a corner? 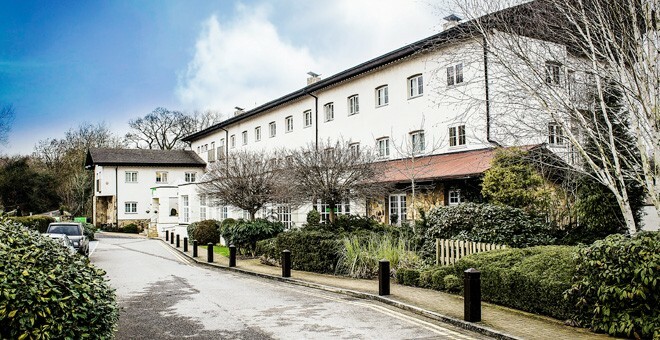 Entry to this museum is by tickets which can be purchased online and is open from 10 am to 5 pm. Manchester Three Rivers –Ever wondered how your favorite Gin flavor is concocted by mixing various flavors and tastes. How about giving it a shot in real when it is concocted live in front of you? Manchester Three Rivers is all about modern-day Gin distillery and the experience that goes behind making the iconic Manchester Three Rivers Gin. Take a tour, see for yourself the intricacies involved in blending to get the right taste and try out your hand at mixing and preparing some! Each tour lasts for 3 hours and yes, you have guessed it right – the tour ends right at their bar! The Crystal Maze Manchester – Yes, you have heard it right. The 90’s crazy show which had taken the world by the storm is live again in front of you. Test your senses and abilities and march ahead in the quest of your own Crystal Maze Hunt! The entire experience takes about 2 hours and its entry is through tickets. Manchester Cathedral – Add a tinge of sanctity and sacredness to your Manchester tour when you plan to visit the historical Manchester Cathedral. Commissioned in 1421, this church was made a Cathedral in 1847 and happens to be one of the most exciting pieces of history in the land of Manchester.